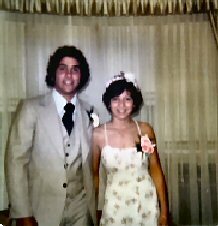 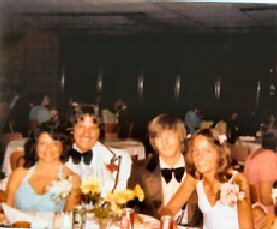 Me with Butch Michael at grad. 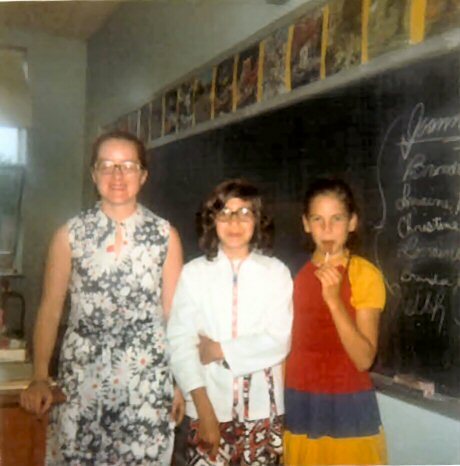 This picture is actually not a Father Mac picture but Immaculata of Mrs Bissonette, myself & Joanne MacNeil from Grade 6. 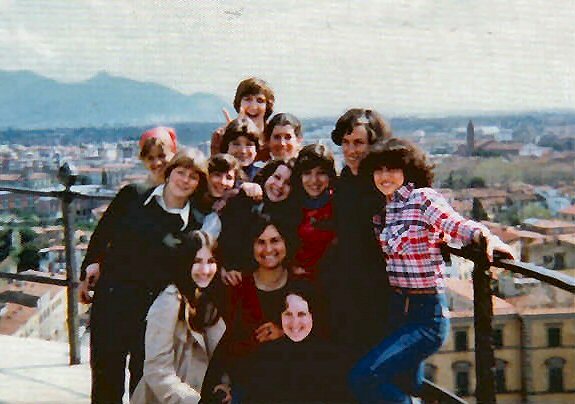 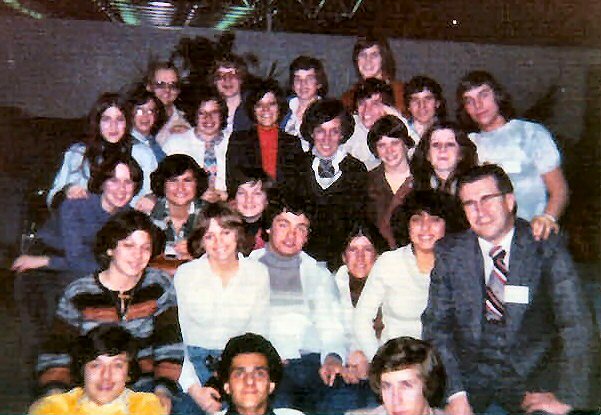 This was taken in Pisa in Spring 1977 with Joanne Dolbec at the left.